1988 DPS Mustangs at their introduction. Alabama bought 30 of these in 1988, the only year used. AL DPS Photo. 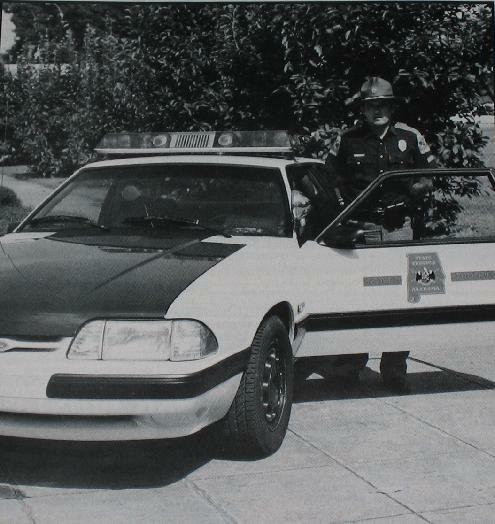 Nice shot of a 1988 from the front, showing the Code 3 lightbar, door graphics, and paint scheme (dark blue hood and trunk). Mustang Monthly Photo.